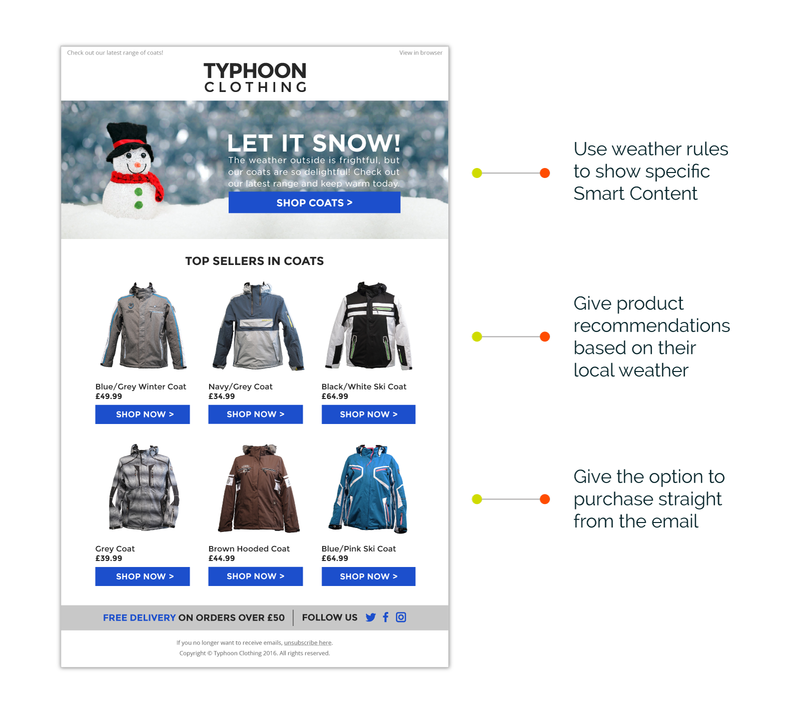 Take a look at our best use cases for using a live Weather Forecast and Weather Rules in your emails. The features are simple to set up for use in both emails and on your website, to show the individual the weather forecast near them, or the forecast for where they are travelling. Add an actual visual Weather Forecast that can be used in any email or web page to show the individual the forecast near them, or the forecast for where they are travelling to. 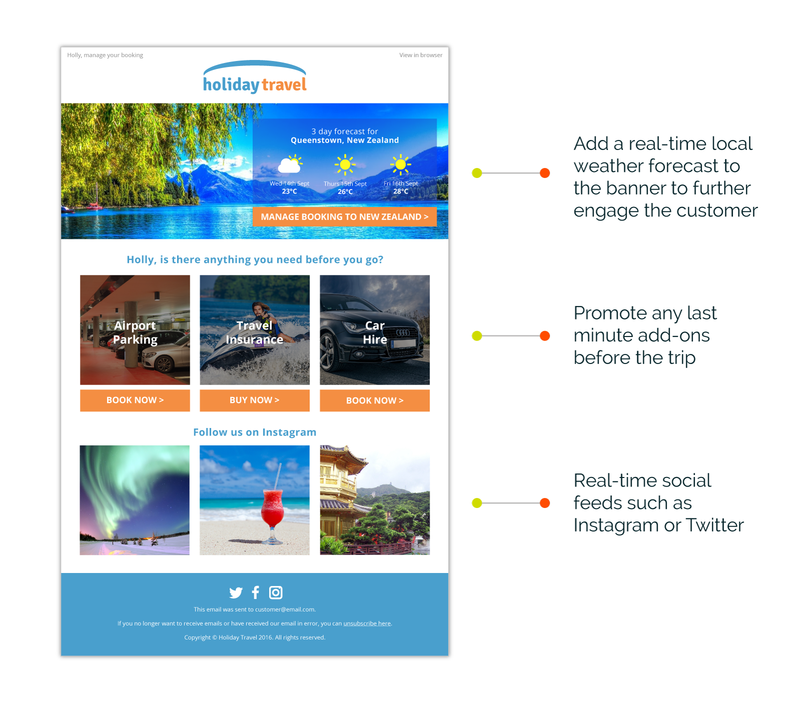 Perfect for both retailers and travel marketers to engage further with customers! Show specific banners to your users based on the weather at their current location, or a location that they are travelling to. Recommend different products based on the shoppers’ local weather forecast - promote umbrellas when it’s raining and sunglasses when it’s sunny. All relevant. All real-time. All set in advance.